We are proud to be members of the Appalachian Sustainable Agriculture Project (ASAP), the Farmer Veteran Coalition and Blue Ridge Women in Agriculture. Healing Springs Farm is a veteran owned farm and is part of the Homegrown by Heros program. . Our farm products can be found at the High Country Food Hub in Boone, the Ashe County Farmers Market in West Jefferson, and at our Farm Store right here on the property. Our Farm Store is always open. We operate on the honor system and most purchases can be made anytime. Please call ahead (336) 982-6262 if you would like to purchase meat so we can be there to unlock the freezers. 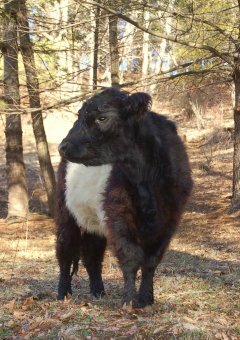 Healing Springs Farm raises 100% grass fed, pasture raised Belted Galloway beef cattle. Our goal is to raise hormone-free, steroid-free beef cattle without the high stress of feedlots. Our cattle are never given growth stimulants or sub therapeutic antibiotics. Our cows are pastured raised for their entire life cycle and supplemented with locally grown hay in the winter months. We practice responsible rotational grazing of our pastures for maximum efficiency. The Belted Galloway Breed (Belties) developed during the 16th century in the former Galloway district of Scotland. Belted Galloways were first imported to North America in 1939. Belties have a double coat of hair, rather than a layer of back fat most breeds require, that provides warmth in the harsh High County winter months.The are a medium sized cow that adapts well to the terrain in our region, they are great foragers and wonderful mothers that calve easily. Belted Galloways produce exceptionally lean, flavorful and high quality meat. Our beef is processed at a local meat processing facility that is USDA inspected and Animal Welfare approved. It is sold vacuum packed, then flash frozen, ready to go into your freezer. We have a selection of cuts available for sale, just ask us! We do not keep regular store hours as this is a working farm. Healing Springs Farm expanded to pastured pork in 2016. 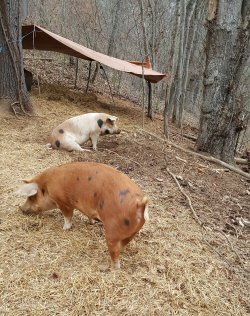 We are proud to raise our pigs on pasture, where they get to naturally root around in the woods and relax in the sunshine. They have shelter and shade in case of inclement weather, but they have loads of room to roam about and be pigs! Our pigs are fed a diet of quality feed supplemented with garden produce, acorns, apples and pumpkins along with milk from a local dairy. Our pigs are not given any growth hormones or antibiotics and are raised as naturally as possible. Just like we do with our cattle, we also practice responsible rotational grazing of our pig pastures for maximum efficiency. Our pigs are processed at the same USDA approved, Animal Welfare Approved facility as our cattle and packed vacuum sealed and flash frozen. We have a selection of cuts available for sale. We do not keep regular store hours as this is a working farm. In the summer of 2017, we added meat chickens to our Farm. 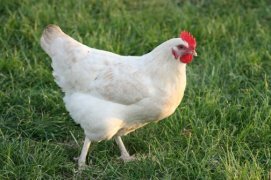 Our meat chickens are raised entirely on pasture, with shelter from inclement weather, but with the ability to walk around in a safe pasture setting and do all the things that chickens naturally do to forage for bugs and grubs. Like our egg laying hens, our meat chickens are fed a non- GMO diet of scratch grains and crumble supplemented with vegetable garden scraps. Apprentice at Healing Springs Farm are involved in all farm activities, including animal management, husbandry, fencing, pasture management, garden management, agri-tourism as well as cabin renovations and building projects. They work with us on the farm, and at the cabins four to five days a week. Apprentices are housed in a private room or cabin with a shared bathroom. We provide 3 full meals a day plus snacks, 7 days a week. Meals are prepared using meats and produce from the farm as much as possible. We expect our apprentices to learn through working. We are happy to teach / share ieverything that we know and have learned about farming, construction and agri-tourism. Our apprentice program is ideal for someone who wants to have their own farm in the future. If you are interested in our apprenticeship program, we ask that you be interested in farming, have the ability to work consistently on repetitive tasks, be in good physical and mental shape, enjoy physical labor and have a positive attitude. We encourage you to schedule a farm visit if you are interested in the program. Just drop us a note or give us a call to schedule a visit!